Are you looking for some epic Elf On The Shelf Ideas and activities to do this holiday season? 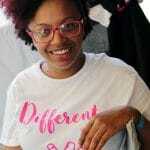 Scroll down and see fun ways to stage your elf, activities you can do with your kiddos and more. This is a perfect way to get your kids excited for Christmas and make this year’s Elf on the Shelf even better than the last year! Check out fun printable calendars, ways to stage your guy, and even ways to help your kids learn to donate toys for a good cause. Have a blast with your fun elf! Moana Elf on The Shelf showcases a Disney take to your little Elf! Even in the freezing cold, it can look like a scene straight out of the movie and you can imagine sitting on a beach relaxing in the warm sunshine. 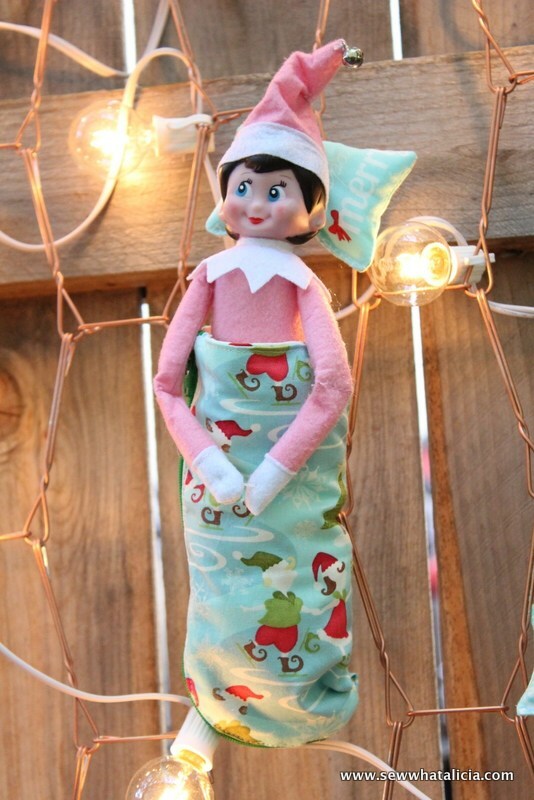 Create a sleeping bag that is just the right size for your elf. A perfect design for your kids to wake up to! Add a little campfire theme, have the elf napping on the table, or however you want to display. Host an Elf on the Shelf party that will make a magical moment in time for your child/children. With fun breakfast treats or desserts, and decorations galore. Check out this elf kisses idea. You get a free printable to make your kisses treat bags, and then place your elf wherever you want in the home! 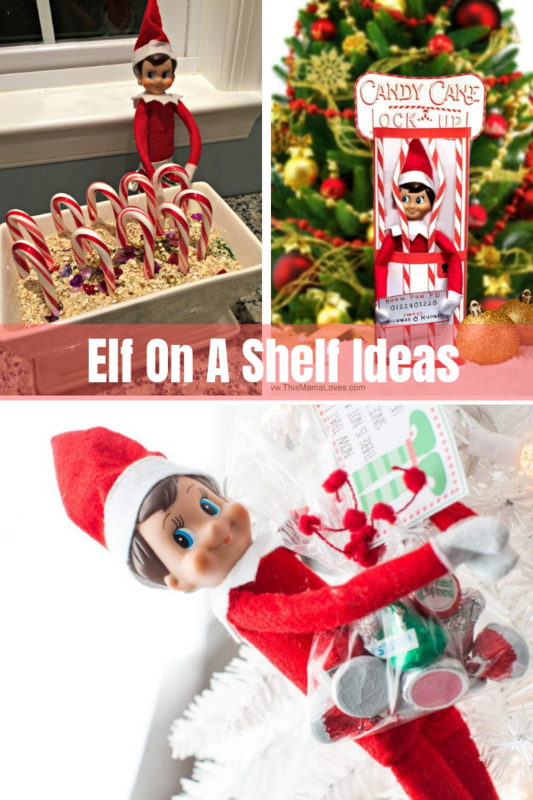 Here you will find 135 Elf on the Shelf ideas to help you come up with creative and enjoyable scenes to stage your fun elf. This is a great roundup list. Learn how to put your elf in a water bottle for a silly scene for your kids to enjoy! Snag 5 different downloadable elf on the shelf letters and ideas on how to have your elf showcase themselves each day. You will be able to print a free calendar for your elf on the shelf here. A fun way to keep track of what your elf did that day. Something fun to look back on. Or use the calendar to create a to-do list of what you need to plan for that night. Here is a printable for the Elf on the Shelf rules for your kids to follow. This is a great printable to have when you introduce your elf each year. 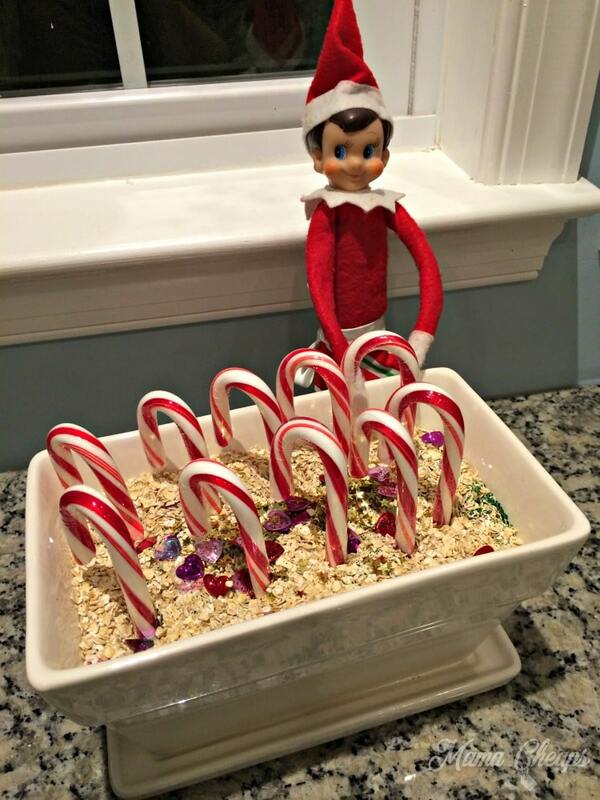 Let your elf make magic candy canes to wow your kids. Before bed your kids plant peppermints in a pan, and when they wake up they transform to candy canes. Love Star Wars? Check out this Elf Star Wars themed setup. A really fun and unique layout that will wow our child for sure if they love the Star Wars movies. You can’t go wrong with this dunk tank idea, I know this is probably my favorite scene out of them all! I mean who can pass up a dunk tank!? I love the idea behind this toy challenge. You allow your kids to help donate old toys, thinking they are helping Santa! A great way to declutter and teach your child to give back. Check out this massage table scene. Something so different and fun I like that it is not your traditional setup here. Another good one is this photo booth style layout. With a little work you can make it look like your elf was taking pictures all night in your home. Oh no! Candy cane jail is totally fun! I mean it would be fun to see your elf locked up behind candy canes in a jail! Snag the free printable to make yours today. Want to name your elf? Here is a list of cute elf on the shelf names to consider! 80 names are right there waiting for you to pick it out and create a fun name for your new addition for the holidays. What Is Your Favorite Elf On The Shelf Ideas?